On our recent Trip to Turkey in October 2015, we had seen a lot of tour groups trying to get travellers to book an expensive cruise on the Bosphorus sea, however we didn’t really want to spend all that time and money on a ship. After some research, we found we could experience the sea via a brief 10 minute Ferry ride from the European side of Istanbul to the Asian side for mere change, so we were all for it! 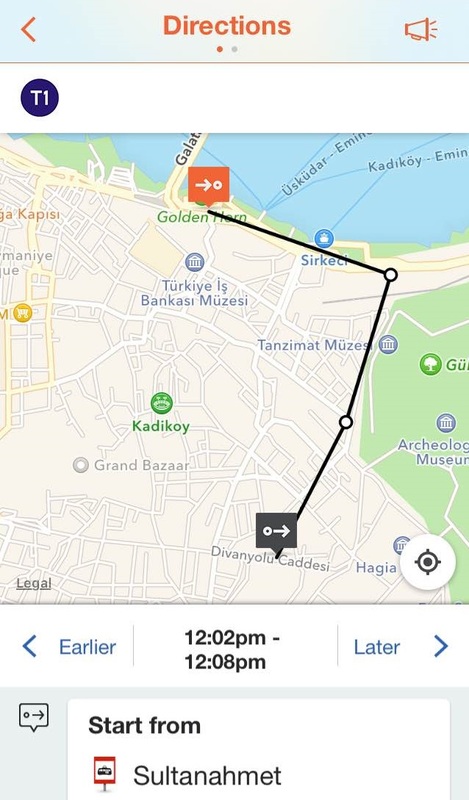 We started off at the Sultanahmet Tram stop and purchased one Istanbul Kart Card right at the stop using cash (the machine does not provide change). There are usually staff there helping out tourists if you need help using the machine, however you can switch the menu to English and it’s pretty straight forward. Remember – you only need one card for two people. You are allowed to pass the card back to another person when you pass through the turnstile. 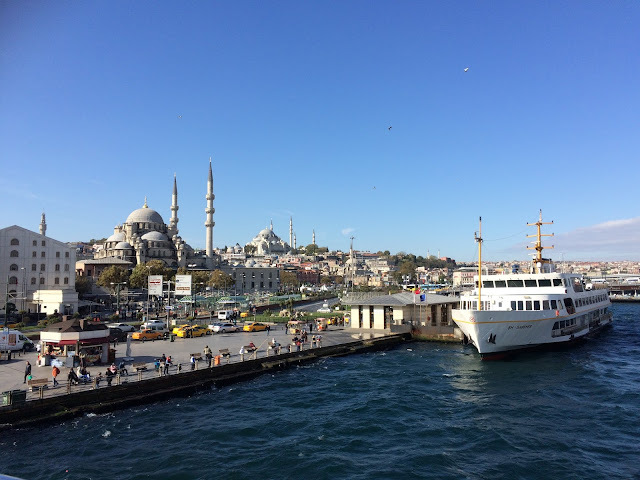 We were nearest to the Sultanahmet tram station, so we started there on our way to the Eminonu Tram Stop. 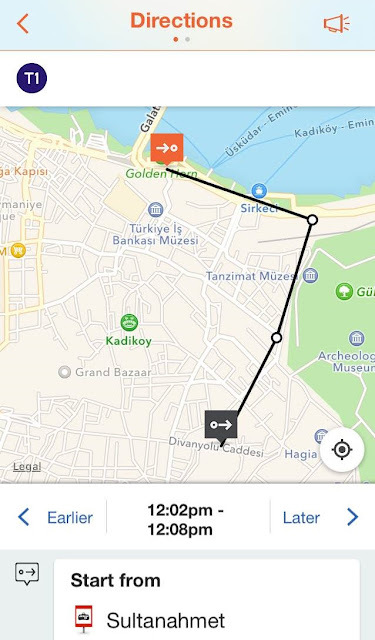 By the way, Google Maps aren't the most functional in Turkey, so I would recommend an app called Moovit. 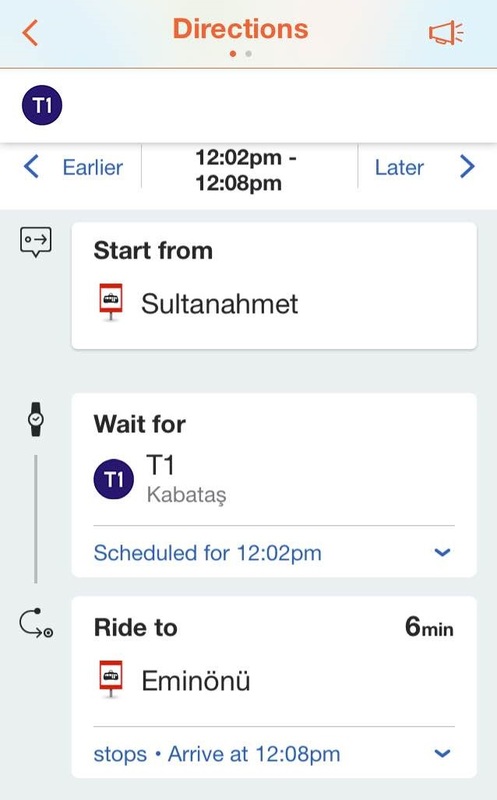 As you can see, the Eminonu Station stop is only 3 stops away. You could walk it, but it would take you about 20 minutes. The Istanbul Kart itself costs 6 Liras. Boarding the Tram costs 2.15 Liras. 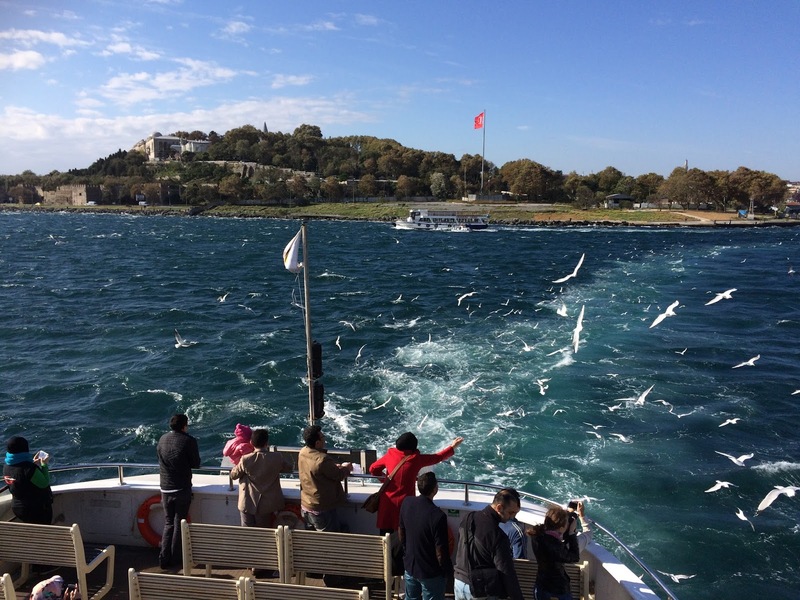 Transferring to the Ferry costs 1.45 Liras. When you arrive to the stop, you’ll see a bunch of fishermen fishing by the rails of the water, and it’s interesting to see what they’ve caught. 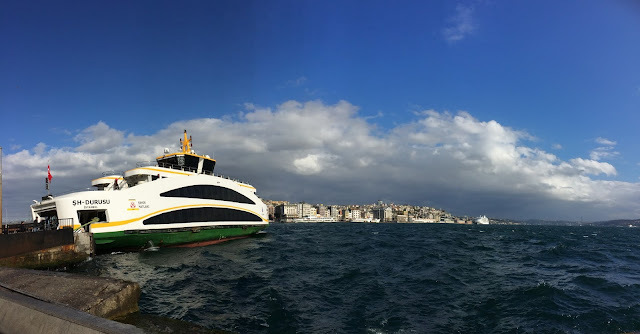 You will see a number of ticket gates to different ferries, be sure to enter the one that says “Kadikoy” which is the closest route to the Asian side of Istanbul. 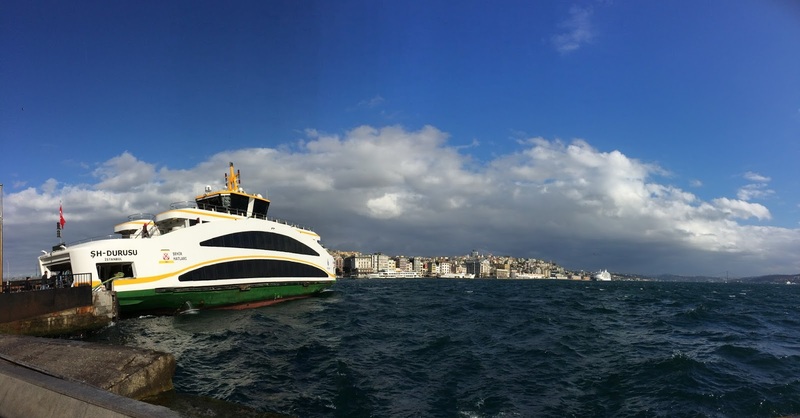 You will also use your Istanbul Kart to pay your entrance fee, which costs 1.45 Liras to transfer from the Tram. While you wait inside, the ferry will slowly back its way to the edge and lower a ramp to the platform, and you’ll wait while the passengers get off the ferry before boarding. There are 3 levels in the Ferry, the bottom which is windows only, the second floor with doors outside to a partial deck, and the top deck where we went..
..where you get to see this marvellous view before leaving. As you sail away you’ll pass beautiful cityscapes. If you do go to the top floor, or the second floor deck I would suggest bringing a sweater with a hood, because the winds are mighty chilly! As we sailed on a curious thing happened, we noticed passengers on the second floor deck starting to throw bits of bread to a swirling mass of tiny seagulls who did the most acrobatic dives to catch the bread, it was incredible! My goal was to return with bread to do the same thing on our way back. These birds were super cute, the little squawking sounds they made were adorable, and it was so entrancing seeing the amount of birds that would swarm the deck once they realized there was a free meal happening. As we approached the dock, we got a great view of stunning architecture. 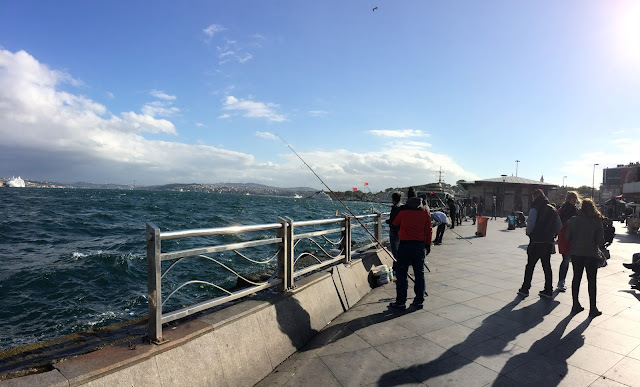 When we returned after a day exploring the local feel of non-touristy Istanbul, and there were a few carts leading up to the ferry gates where you could buy bread for 1 Lira, so I got to enjoy myself feeding the birds on the way back. Just don’t do as I did – throw one little piece at a time, not handfuls excitedly like me, you’ll run out fast (woops). 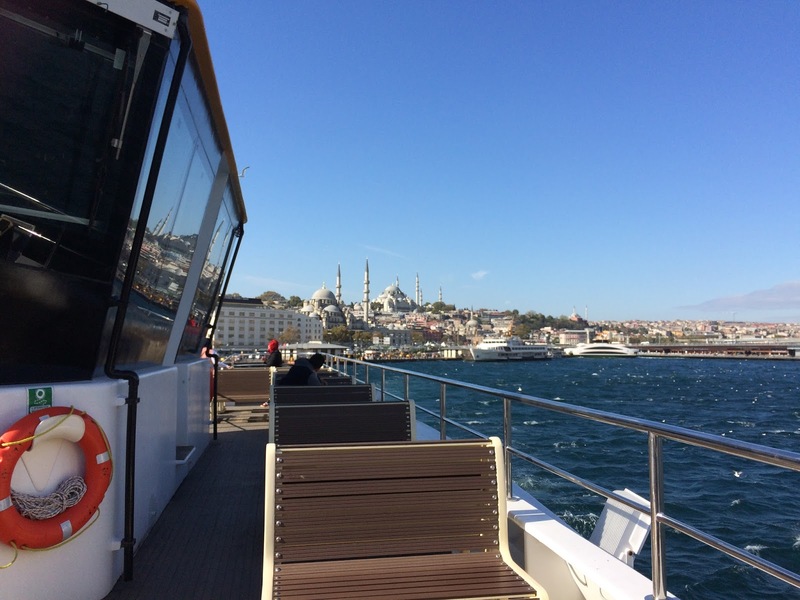 So there you have it – a case for why you shouldn’t spend a ton of money for dinner on an expensive cruise ship in Istanbul. Enjoy this awesome experience on your trip instead at the fraction of the cost! 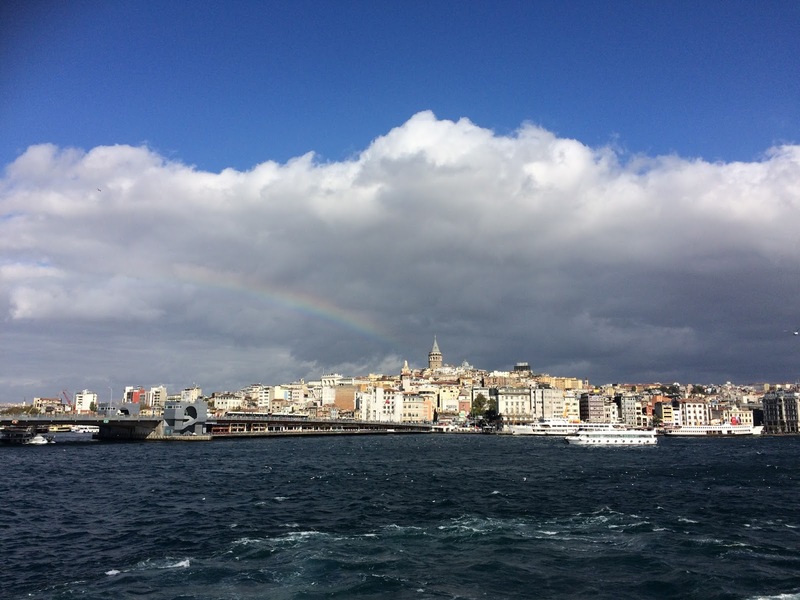 See more articles about Istanbul and Asia at our World Trip Directory! Also, be sure to Like our Facebook page for more fun stuff!